Godrej Alive: Luxury apartments with world-class features for you to live like a king! Mumbai is a fabulous city and the economic capital of the country where you can find all that you have been looking for! There is something about this city that distinguishes it from the rest. The real estate market in Mumbai is sprawling with a number of residential projects today. 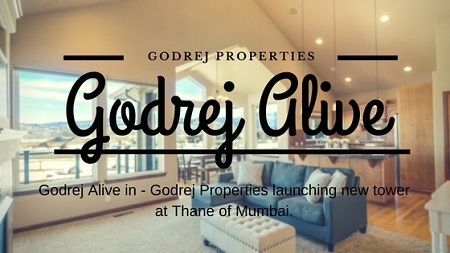 Godrej Alive is one of the latest residential projects in Mumbai by Godrej Properties Limited that offers a comprehensive lifestyle with every element of luxury that will make you feel alive! This development sits on a bed of extensive land, and contains 4 glorious towers that will be launched and a total of 8 towers. Offering lavish 2BHK, 3BHK and 4BHK apartments that are high on luxury and designed to please, this development ensures that you experience a modern-day lifestyle that will satisfy your senses. With a total of 400 apartments and different Godrej Alive floor plans, your ideal residential space lies right at your fingertips! 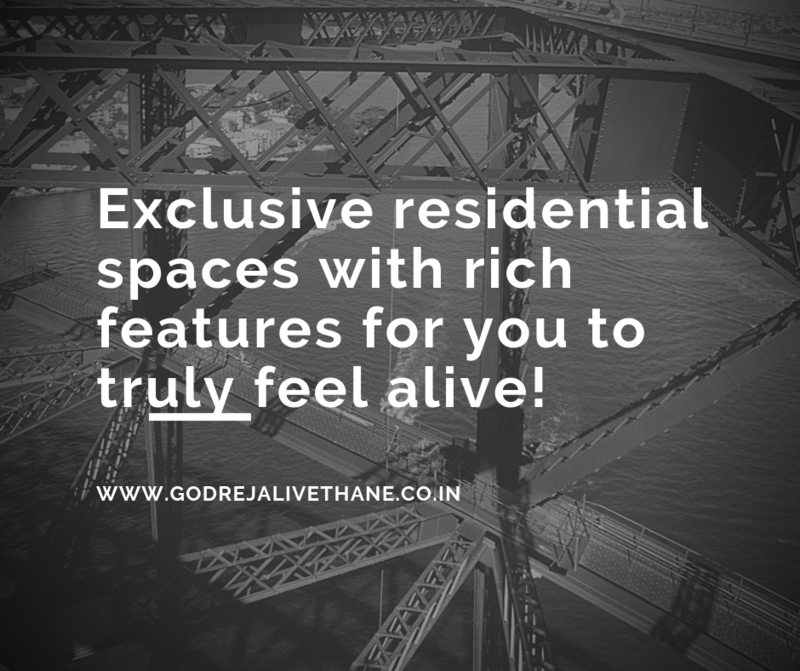 Godrej Alive Thane is a magnificent residential undertaking that offers all that you need to live every moment of life to the fullest! You will find apartments that are well-spaced, provide natural lighting, good cross ventilation and contain vitrified flooring, plush fittings & fixtures, tough doors, large balconies and windows providing landscape views, elegant kitchens with top-notch platforms, ceramic flooring and multiple provisions, high-quality electrical sockets and switches for multiple electronics, multiple safety features and more. This development also offers a plethora of external amenities that will always keep you active, entertainment and refreshed, no matter what the weather! Welcome to a world of infinite leisure and comfort for you to always have a good time with your family and friends. The external amenities at this residential development include a grand clubhouse for recreation, meditation centre, multiple sports facilities and a dedicated tennis court, swimming pool, jogging track, gymnasium, amphitheatre, gorgeous landscape garden, barbeque area and manned security for an uninterrupted modern day living. 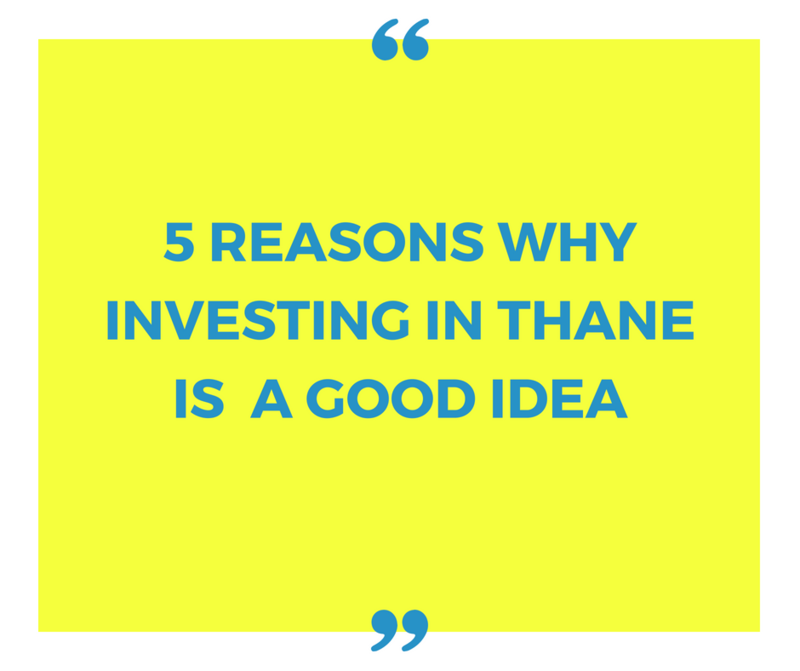 Situated at Thane, Mumbai, this development offers a life of convenience as it has a number of landmarksin its vicinity and offers of life of convenience that is simply fantastic! Places like schools, colleges, malls, shopping centres, supermarkets/hypermarkets, cafes, clubs, cinemas, lounges, bars, restaurants, ATMs, banks, convenience stores, retail outlets, medical centres, hospitals and a lot more can be accessed within a matter of minutes. As the Godrej Alive location map falls in between Mumbai & Thane, you can commute with ease and enjoy the best of both worlds each day! Starting at a brilliant price of Rs.1.90 Cr., the apartments at this residential development area affordable and definitely worth your savings for a new luxury apartment. Without a doubt, this development is ideal for home buyers and investors as well. 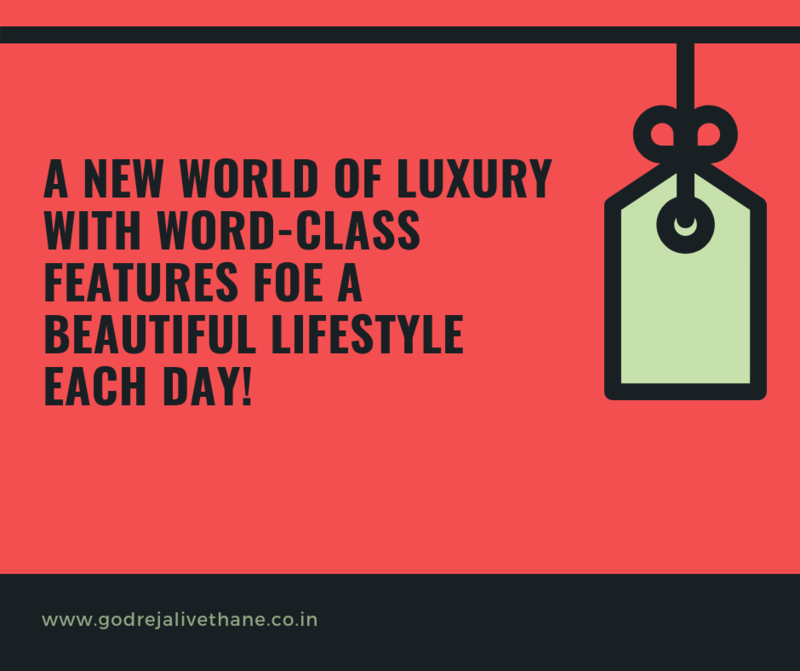 While the cost of property in Thane continues to rise, Godrej Properties Limited still manages to offer rejuvenating luxury that is reasonable and light on your wallet! You can choose from multiple payment plans along with NRI services, home loan facilities through associated banks, customer support and more for a simplified purchase. Book your apartment today!